29B South Harbor Drive is located in the private beach community of Harbor Island, South Carolina. It is nestled on the southernmost point on the island. 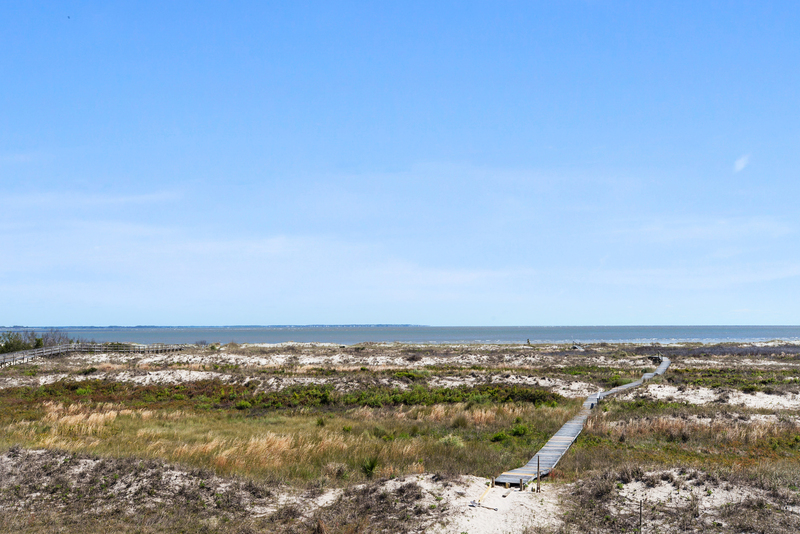 Harbor Island neighbors Hunting Island State Park and the neighboring island of Ladys Island. It is a pleasant twenty-two minute drive to downtown Historic Beaufort and the Henry C Chambers Waterfront Park. 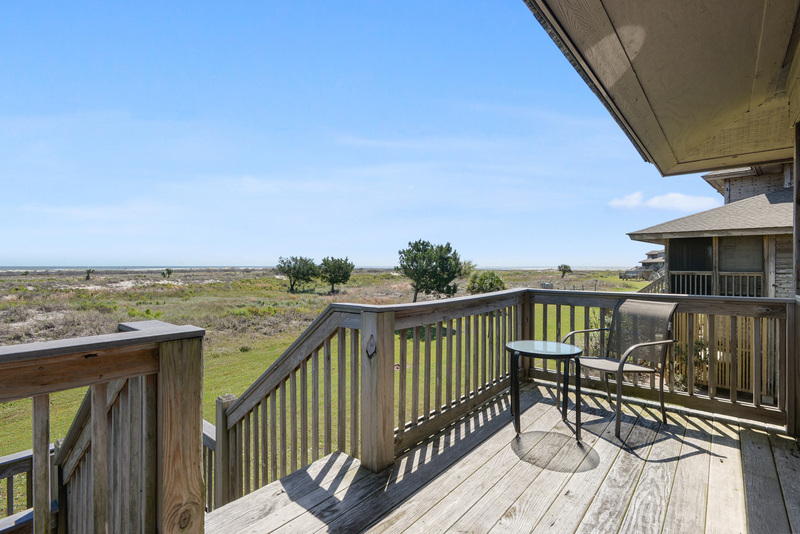 Also known as Puffin Place, this duplex offers expansive ocean and marsh views. It is sure to make your vacation a memorable one. Enjoy all the creature comforts of home, including Wifi, cable TV, DVD library, books, puzzles, board games, and even a grill for barbecuing! There is also a full sized washer and dryer. With three bedrooms, three baths, and a den for a fourth bedroom, this home sleeps eight comfortably. It offers a nice open floor plan, and is tastefully decorated. 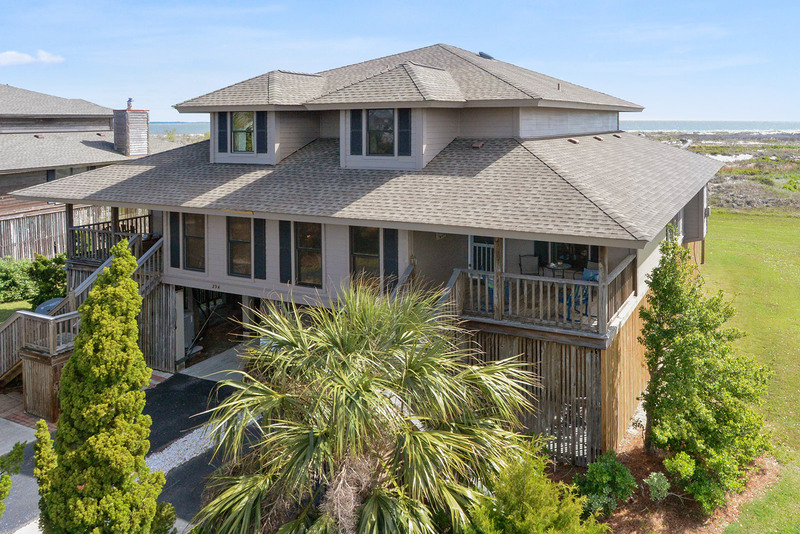 The big screened porch is just off the main living area, and the two open decks are located in the back enjoy ocean views. 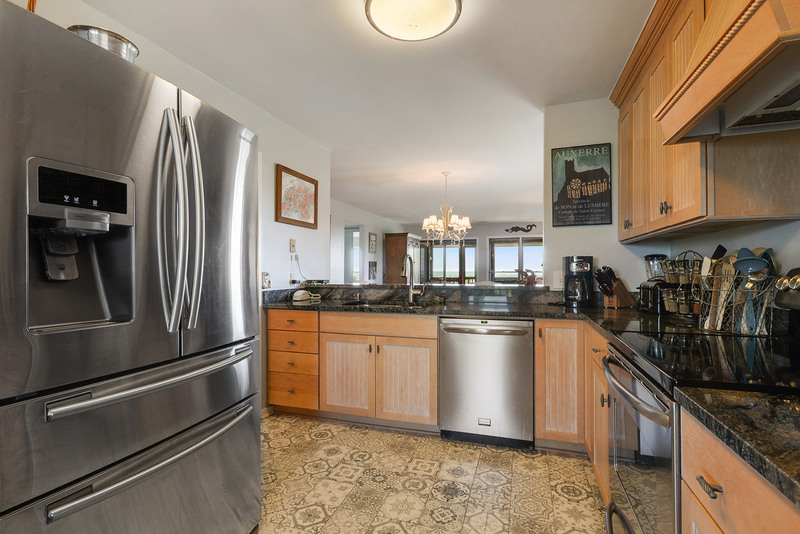 The kitchen is a cook’s dream, with high end appliances, granite countertops, and everything you may need to prepare all your meals during your beach vacation. It even has a wine cooler! There’s tons of natural light that makes the home bright. 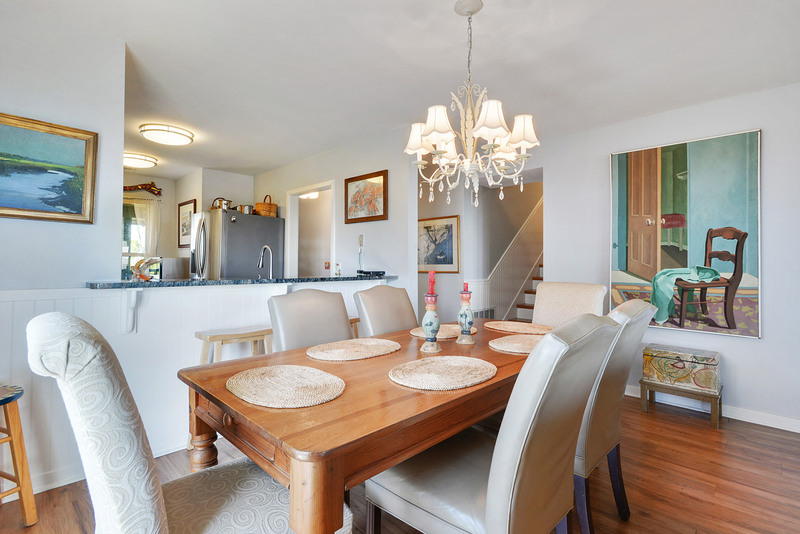 The dining room table seats up to eight with additional seating out on the screened porch. The living room is welcoming, with a large comfy sofa, loveseat, and two plush chairs. It is where you can curl up and watch movies after a long day at the beach, or listen to music all night. Have your coffee with a view every morning! The porch provides just the relaxation you are looking for. It also opens onto a small open deck with unforgettable views. The den on the main floor boasts a 50 inch flat screen cable television with a DVD player. 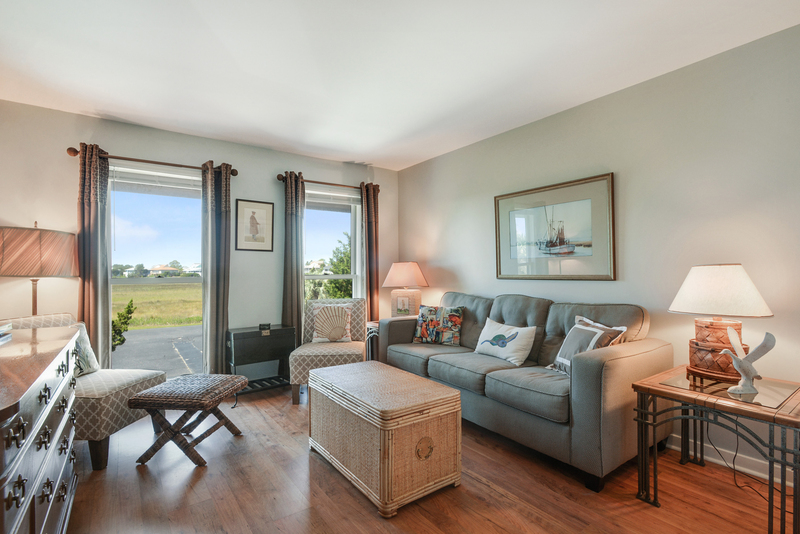 This large room also has a sleeper sofa, and great views of the marsh. A relaxing chair and ottoman provide the perfect spot for curling up with a good book. And Puffin Place provides dozens of books for your reading pleasure…both fiction and nonfiction including numerous books devoted to the surrounding area, history, and nature. The den can easily double as a fourth bedroom, with the sleeper sofa, its own closet, large chest of drawers, and convenient location adjacent to a full bath. Conveniently located on this main level is the master bedroom suite. 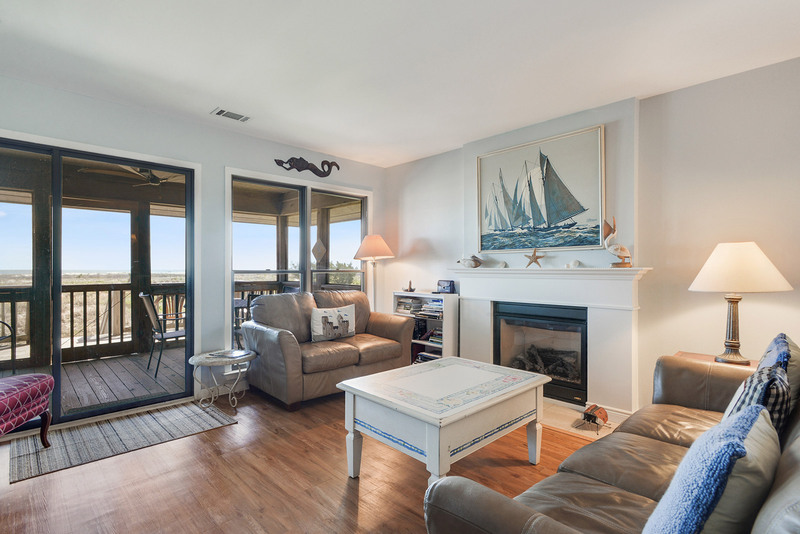 With a queen sleigh bed, charming vintage furnishings, and a 32” flat screen Internet television, the master is on the ocean side of the home with beautiful ocean views, and opens directly to the screened porch. What a great way to wake up in the morning! A fully renovated en suite bath featuring new river rock flooring completes the master suite. Upstairs are two large, carpeted, bedrooms each with a reading nook, and a third full bath that is ideally located off of the landing that separates the two bedrooms. Spacious bedroom 2 boasts a beautiful king size sleigh bed, 32” Internet television, and in the dormer alcove a comfy armchair and ottoman provide a nice private spot for reading or relaxing. 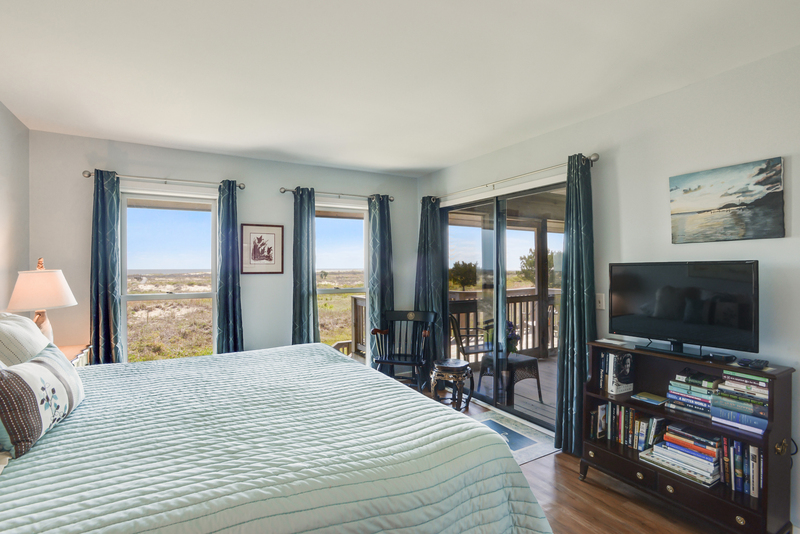 There is a lovely marsh view from the alcove window, and a wide blade ceiling fan keeps the breeze circulating for restful sleep. 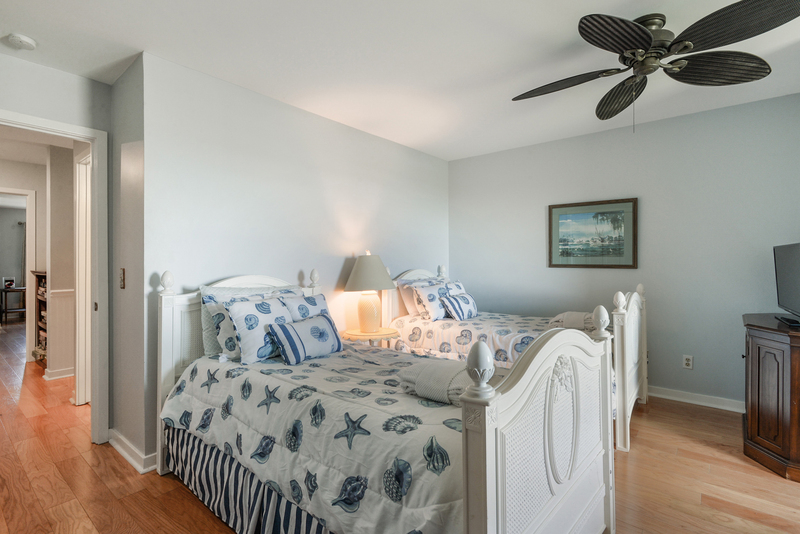 Bedroom 3 is a perfect children’s room with a 32” cable television and two twin beds. A dormer sitting area with a stunning ocean view offers a snuggly overstuffed chair with ottoman, and shelves of books at arm's length. 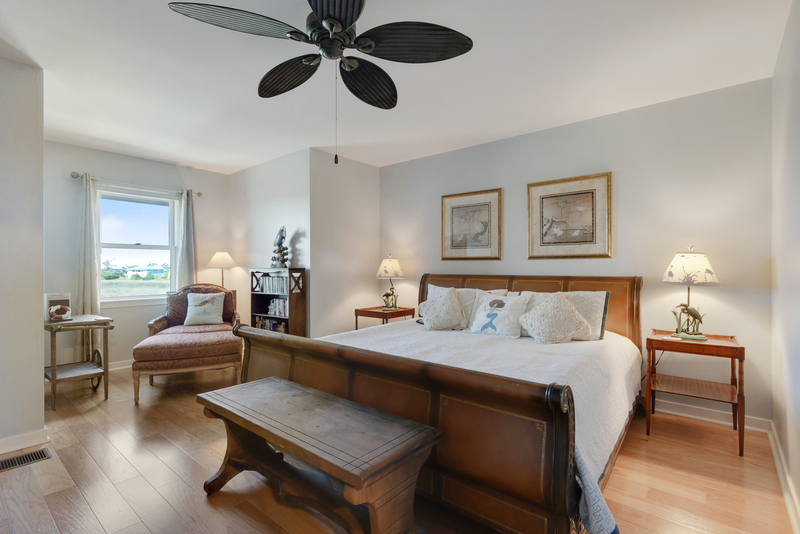 Both upstairs bedrooms have wide blade ceiling fans for your sleeping comfort. On the landing between the bedrooms is a bookcase filled with games and books, and a loveseat offering yet another great quiet spot for reading. The Pelican Point duplex homes are the southernmost homes on Harbor Island....a single row of elevated duplex houses facing the ocean to the east and an expansive tidal marsh to the west. Private boardwalks, for Pelican Point owners and guests, are scattered among the homes and one is just steps away from your back deck. A 5 minute walk on the boardwalk will take you to the beach.